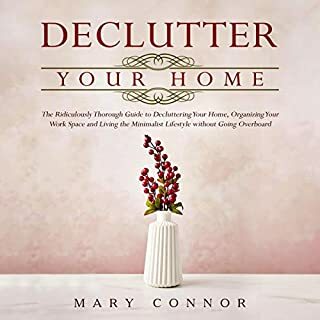 The Hoarder in You provides practical advice for decluttering and organizing, including how to tame the emotional pull of acquiring additional things, make order out of chaos by getting a handle on clutter, and create an organizational system that reduces stress and anxiety. 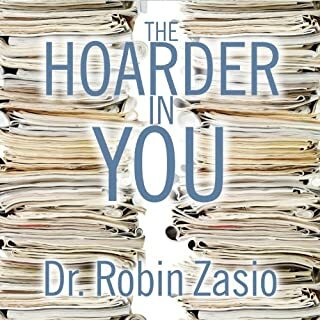 Dr. Zasio also shares some of the most serious cases of hoarding that she’s encountered, and explains how we can learn from these extreme examples - no matter where we are on the hoarding continuum. Kim Miller is an immaculately put-together woman with a great career, a loving boyfriend, and a tidy apartment on Manhattan’s Upper West Side. You would never guess that Kim grew up behind the closed doors of her family’s idyllic Long Island house, navigating between teetering stacks of aging newspapers, broken computers, and boxes upon boxes of unused junk festering in every room - the product of her father’s painful and unending struggle with hoarding. 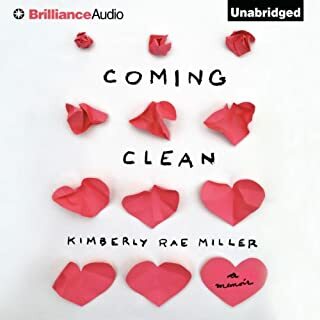 In this moving coming-of-age story, Kim brings to life her rat-infested home and her childhood consumed by concealing her father’s shameful secret from friends. As a lifelong hoarder, I suffered from a great deal of depression and anxiety about my home. I felt like, why can’t I have a "perfect house" like it seems like all my friends do? I needed a guide of some sort to keep myself sane through the grueling process of decluttering. And so, through my journey of decluttering, I finally compiled an effective audiobook to deal with this problem. Have you tried to declutter your home, and just felt overwhelmed by the sheer amount of stuff that you have? I absolutely LOVED this audiobook!! People always have had trouble throwing things away. Magazines, newspapers, old clothes.... They think what if I need them one day? I don't want to risk throwing something out that might be valuable or appreciate with time. And those large piles of stuff keep growing, so it's difficult to move around, and there is no end in sight. This is why you need to consider decluttering and stop hoarding, saving, and collecting things. The hypnosis induction features isochronic tones which are a form of brainwave entrainment to help achieve deeper relaxation. Also included within this program is an extended affirmations track, a meditation track (partly guided, with ancient solfeggio frequencies), and as an extra bonus, an exciting and powerful drum journey, bodywork track. Do you know a hoarder or are you one yourself? Then this book is perfect for you. With the help of this information, you can start your road to recovery from hoarding disorder. Solutions, insights, and root causes are all in here. Among others, you will find the following sub-topics addressed: the detailed definition, causes, and consequences of hoarding summarized; potential home hazards and the main reasons to begin admitting you have a problem; and much more! Check it out and enjoy the stories, the wisdom, and the research-based facts and stats in this straightforward, no-nonsense guide to stop hoarding. This practical guide is designed to provide the fundamental aspects of hoarding disorders and simple, yet effective treatments for hoarding. Let's face it, you cannot heal your hoarding condition before you understand it and know of the help for hoarding that is available to you. The truth is, if you are suffering from limitations because of your hoarding habits and haven't been able to change, it's because you are lacking an effective strategy and understanding of where your hoarding is coming from and why it is so hard to stop. 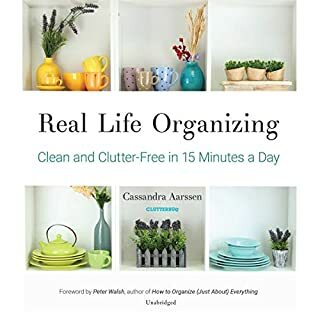 This book goes into the causes and risk factors of hoarders, signs and symptoms of a compulsive hoarder, and a step-by-step strategy that will help you free yourself from your addiction and help you take control of your life. A houseful of clutter may not be the only reason people pack on extra pounds, but research proves that it plays a big role. A recent study showed that people with super-cluttered homes were 77 percent more likely to be overweight or obese! In Lose the Clutter, Lose the Weight, organizing guru Peter Walsh comes to the rescue with a simple six-week plan to help listeners. 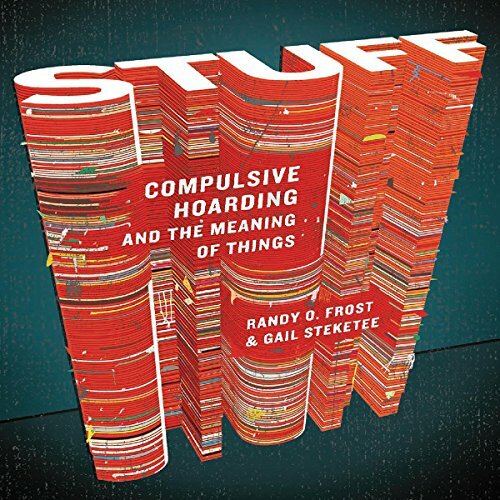 If upon first listen, Stuff sounds like a textbook for a collegiate course on Hoarding 101, well, that’s because Frost is a university professor and researcher. But don’t skip over this book — it’s the most fascinating college course you never took. Frost and his co-author Gail Steketee delve into the world of hoarding and the psychology behind the affliction by discussing case studies like Irene, a woman who has driven away her husband because she can’t let go of her stuff. It appears that Irene collects things at random — stacks of old newspapers and magazines, scraps of paper with telephone numbers, expired coupons, instructions to children’s board games. On deeper inspection, there are a number of reasons why Irene collects, like her possessions represent a connection to the outside world, or the act of collecting is a relief to her undiagnosed obsessive-compulsive disorder. While there’s no one motivation behind hoarding, Frost and Steketee posit a number of theories — and debunk some of the more common ones (like the idea that hoarders were deprived of material things as children). Frost’s genuine and friendly tone is confident and assured — not surprisingly it’s much like that of a college professor. You can almost picture him working the slide projector as he speaks, and must fight off the urge to take notes. He’s a natural storyteller, and draws you into his scientific world without you realizing it. You just know you want to hear more. Randy Frost and Gail Steketee were the first to study hoarding when they began their work a decade ago; they expected to find a few sufferers but ended up treating hundreds of patients and fielding thousands of calls from the families of others. Now they explore the compulsion through a series of compelling case studies in the vein of Oliver Sacks. With vivid portraits that show us the traits by which you can identify a hoarder - piles on sofas and beds that make the furniture useless, houses that can be navigated only by following small paths called goat trails, vast piles of paper that the hoarders churn but never discard, even collections of animals and garbage - Frost and Steketee illuminate the pull that possessions exert on all of us. Whether we're savers, collectors, or compulsive cleaners, very few of us are in fact free of the impulses that drive hoarders to the extremes in which they live. For all of us with complicated relationships to our things, Stuff answers the question of what happens when our stuff starts to own us. ©2010 Randy O. Frost & Gail Steketee (P)2010 Audible, Inc. 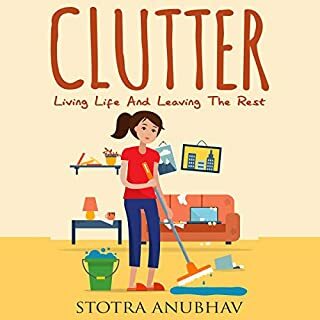 I am a 74 year old hoarder, have watched the TV show and read a lot of books about hoarding, but THIS book is the first book that has really explored what is going on inside the heads of hoarders. It is not a "fix it" or a "quick solution" book, but rather it is an in depth study of how we are wired differently from other people. I highly recommend this book above all others for hoarders and anyone who wants to understand them. I am optimistic that understanding how my brain works will help me make my house more functional so that I can enjoy the pleasures that I had hoped I would have in it when I bought it. Frost offers a comprehensive, insightful view into the world of hoarders...the varieties of hoarding, the theories on why they hoard (nature vs. nurture), the torment they often face, and how we might best help them face and manage this extremely difficult mental illness. As a professional in architecture who occasionally works with hoarders, I found this book to be valuable in helping me understand what my clients face.. Frost's narration of his own work is engaging and enjoyable to listen to....more narrative than academic. This book was a terrific help in my attempt to declutter my house. Helps you see those 'collections' in a totally different light. I enjoyed this analysis of hoarders, potential causes and possible solutions. The author brings significant experience in working with and researching hoardes, and he displayed a compassion, but not acceptance, of their plight. During my reading of this book I definitely wanted to throw away everything I have and clean everything insight. This was one of the best books I've read about people who can't get rid of things easily. Even though this is about hoarders, which I am not, I was able to glean a lot of insight from the psychological portraits in the case studies. It provided possible explanations about why I have difficulty in getting rid of the most mundane things and offers information as to why others are real hoarders. Also, I found interesting the scientist authors' portrayal of hoarders being perfectionists gone awry, lack of focus, creativity to a fault, seeing 'objects' differently than others might. There is nothing positive about hanging on to too much stuff if it becomes a noose around your neck... for me, it's a work in progress! If you could sum up Stuff in three words, what would they be? The television show Hoarders and its contemporaries have revealed just how common the affliction of hoarding is, and how it exists in places and people that you might not suspect (as well as in people who seem just as you might think a hoarder might be). As the child of a hoarder who was not as extreme as the ones often televised, I find these shows of interest, because I can identify with many of the challenges faced by the families of the hoarders. That said, I think that the shows often go for the cheap shot, the thing that will make audiences go "Ewwww!" and recoil, rather than any nuanced version of the situation. The holier-than-thou, let's-throw-it-all-away attitude of some of the "hoarding specialists" (not the mental health professionals) on the shows often tread on my patience, even as I recognize that the hoarders themselves frequently are some of the most irrational people one might ever encounter. Television may just be too sensationalistic in its coverage of this topic. "Stuff," on the other hand, is a better treatment. Firstly, because it is based on actual research by individuals who took the time to do systematic interviews with different types of hoarders. The researchers themselves had no idea how widespread the hoarding situation was when they first began addressing it, prodded by a student's interest (cheers to student initiative!) and uncovered a great deal of interesting subject matter. The case studies provide depth and texture to the individuals who suffer from this affliction, while illustrating broader characteristics that the researchers have found that many hoarders share. Secondly, the case studies are described without that pitched, sensationalistic tone that is so common in the shows. To be fair, the things that are occasionally described can still be gruesome and downright disturbing, but the narrator describes them matter-of-factly, because the point is to understand what is going on, not to oogle at the train wreck. Extreme might be too strong a word. However, I found myself nodding in some cases at the similarity of the rationales offered by hoarders in the book to those I heard often in my own childhood, uttered by my parent. Other times, my experience differed widely from what was described, but it offered that comfort that sometimes comes when we find out that we are not alone in something odd/shameful/bewildering that we have experienced. 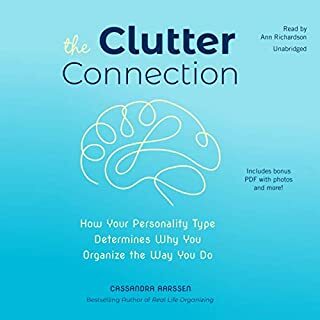 For others who have loved ones who are hoarders, I would recommend the book for that reason as well as for the bits of insight into the characteristics that the researchers have found that hoarders share. It is not a book of cures, and while it does provide some insights into certain therapies that have had successes, the researchers are careful to note that this is a very difficult affliction to treat as it often goes to the core of people's emotional selves. If you have a hoarder in your life or are someone who encounters them (working at a health department or human services organization), I recommend this book as a way to try to develop some insight about the not just the individual case(s) you might be dealing with, but to the breadth of the problem in our society today. Keep an open mind. It is important to understand that hoarders are not just lazy or silly or dirty or any of the other myriad "easy" explanations that people sometimes assume... there is more to it than that and while passing judgment is easy... it is hardly productive or fitting a society as advanced as ours. I can recommend this book to anyone who is interested in psychology-themed discussions. I found the academic style and presentation reassuring that the information was as reliable and vetted as well as possible at the time of writing. In contrast to some other reviewers, I did not personally find the academic nature of the discussion to be boring or dry. Some of the descriptions of hoarders is gave me an almost voyeuristic thrill and made my messy desk seem completely normal in contrast. I am not sure this was the intent of the author, but I would suspect that other non-hoarders might well have this response. The final segment of the book contained a discussion of modern American culture, and I found this part of the book to be preachy, irrelevant to the overall content, and speculative in a non-academic way. Other than that one weakness, I can recommend this book as an interesting read. The narration is fine but not spectacular. If you are not interested in the content, the narration will not carry this book for you. Here's the takeaway: this is a shocking and fascinating book. The authors are therapists who specialize in hoarding behavior and helping individuals overcome their compulsions. And what compulsions they are!The subjects in this book have collected so much stuff they don't know the size of their rooms, they forget whole rooms exist, they have to crawl to certain destinations, they put their health and marriages at risk, and they cannot stop. You'll watch as the authors employ a series of creative treatments to try and mitigate the compulsions. Some succeed and some fail. What is most incredible is the chapter about childhood hoarding, proving the behavior can be inherited or learned. This is a short but amazing read, highly recommended. No, I don't live in a house where goat-paths thread among stacks of newspapers, magazines, and assorted junk. But even as I listened to Caron's excellent reading of this well-written book, I couldn't help but notice how many of the traits of the sufferers of extreme cases of hoarding I had, or could recognize in friends and family members - though never so out-of-control. The authors never overclaim - they are genuine scientists who remain cautious and skeptical of their own tentative conclusions. The result is a book that is both fascinating and reliable. It's a happy coincidence when first rate science is done by first rate writers.